The following is a guest post by Nancy Christie, author of Traveling Left of Center. If you would like to write a guest post on my blog, please send me an e-mail at contact@cecilesune.com. 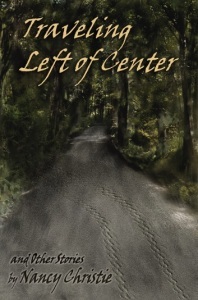 Traveling Left of Center details characters in life situations for which they are emotionally or mentally unprepared. Their methods of coping range from the passive (“The Healer”) and the aggressive (“The Clock”) to the humorous (“Traveling Left of Center”) and hopeful (“Skating on Thin Ice”). The eighteen stories in Traveling Left of Center depict those types of situations, from the close calls to the disastrous. Not all the stories have happy endings—like life, sometimes things work out and sometimes they don’t. In these stories, the characters’ choices—or non-choices—are their own. But the outcomes may not be what they anticipated or desired. Will they have time to correct their course or will they crash? The characters in the stories all seem a little (in some case, a lot!) wounded or vulnerable. What draws you to write about these types of characters? I’m not entirely sure. It’s not like I set out to write stories about odd, eccentric or unstable people. It’s just, for some reason, I am drawn to those types of people—perhaps it’s one of those “There, but for the grace of God” things. My fiction—or at least, my short fiction—tends to be about people who are damaged in some way: by what they have done to themselves or by what was done to them, by what they have received, what they gave up, or what was taken from them. They are, for the most part, struggling to navigate through dangerous waters. Some survive and move forward toward land, some are just treading water, and some don’t even know that they have lost the battle and are, even now, drowning. I feel sorry for those people, wish I could do something for them, and perhaps, in the writing of their stories, that is what I am doing. Because somewhere out there, there is a real person who is held in thrall by his or her obsessions, who is controlled by past or present circumstances, who wants to live a happy, normal, balanced life but finds that the tightrope of life vibrates too much and maintaining equilibrium is but a dream. “Dream”—and there it is again. The idea of what we want and what we have. For some of us—perhaps for most of us—the former is the dream and the latter is the reality and never the twain shall meet. Dreams and dreaming figure into several of your stories—“Misconnections” and “Beautiful Dreamer,” to name two. Did you “dream” these stories? And what kind of dream history do you have? Actually, ever since I was little, I have been an active dreamer. The description of her children’s nocturnal activities in “Misconnections” is taken from my own life. I was (and, when I am very tired or stressed, still am) a sleepwalker and sleep-talker, and prone to dreams that are so real that, when I wake up, I’m not entirely sure if it was a dream or not! And sometimes, the images in the dreams do end up being part of a story. As a matter of fact, the dream image the character has of the little child in “Misconnections” came from one of my own dreams! Unfortunately, I am unable to dream on command—if I could, I would have lots more stories! Can you share what inspired some of your stories? “Misconnections” (originally published in Wanderings Magazine) was inspired by a dream I had of a toddler wandering through plane wreckage, holding a tooth in her hand. “Beautiful Dreamer” started when I woke up in the middle of the night, holding the telephone receiver in my hand and hearing the buzzing sound and wondering if someone had called and I talked to them in my sleep. And if I did—what did I say? “The Healer” came after I had a series of reiki sessions and started wondering what it felt like to be the practitioner rather than the client. As for “Annabelle”—I started it so many years ago that I don’t know where it came from! Some of my other stories that aren’t in the collection… “Aunt Aggie and the Makeup Lady,” published by The Chaffin Journal was inspired by a conversation I had with a vendor at a flea market. She said that, although being there wasn’t her favorite way of spending a Sunday afternoon, it was better than being stuck at home with her husband’s crazy Aunt Aggie. That’s all it took, and the story was born! And “Ice Cream Sunday” (published in Fiction365) came after witnessing a father and his adult disabled daughter at a local ice cream shop. But for the most part, many of my stories are triggered by words—overheard or imagined— and I don’t know how the story will turn out or even what it’s about until it’s written. What was your “writer dream”—your goal— when you began to write? Has it changed over the years? I don’t think I had a dream. Certainly, I never pictured myself holding a book with my name on it. Writing is such a natural part of me that I never thought about it as an occupation or a goal, any more than I would think about breathing as a profession. It was just something I did. Of course now, with two books—Traveling Left of Center and my non-fiction book, The Gifts of Change — in print and two short stories as e-books plus others that have been published in literary journals, I do have a dream or two. Great reviews in The Times. Accolades from well-known literary fiction writers. An award or two to stick somewhere on my bookshelf—next to about a dozen foreign translations of my collection! Or maybe my accountant telling me that my royalties have pushed me into a different income bracket! I often thought I would have liked to be an archeologist. In some way, the professions are similar. The archeologist carefully digs through stone and sand and dirt until he uncovers a world that has long been hidden, and, in some cases, the remains of people who lived so long ago. I dig through thoughts and memories and emotions until I find the imagined world and imagined people. Then we both do the same thing: we re-create that world. The only difference is the archeologist recreates what once was while I recreate what existed only in some space and time outside of this reality. About the author and her work: Nancy Christie’s Website. Please send me an e-mail at contact@cecilesune.com if you would like to read “Annabelle” — one of the stories in the collection —, and I will provide you with a PDF copy. Nancy Christie is a professional writer, whose credits include both fiction and non-fiction. In addition to her fiction collection, TRAVELING LEFT OF CENTER, and two short story e-books, ANNABELLE and ALICE IN WONDERLAND (all published by Pixel Hall Press), her short stories can be found in literary publications such as EWR: Short Stories, Hypertext, Full of Crow, Fiction365, Red Fez, Wanderings, The Chaffin Journal and Xtreme. Her inspirational book, THE GIFTS OF CHANGE, (Beyond Words/Atria) encourages readers to take a closer look at how they deal with the inevitability of change and ways in which they can use change to gain a new perspective, re-evaluate their goals and reconsider their options. Christie’s essays have also appeared in Woman’s Day, Stress-Free Living, Succeed, Experience Life, Tai Chi and Writer’s Digest. She is currently working on several other book projects, including a novel and a book for writers. 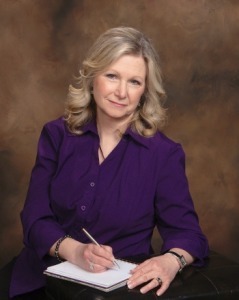 A member of the American Society of Journalists and Authors and Short Fiction Writers Guild (SFWG), Christie teaches workshops at writing conferences and schools across the country and hosts the monthly Monday Night Writers group in Canfield, Ohio.